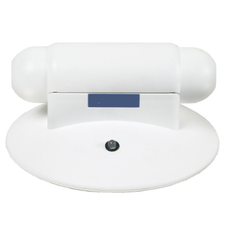 We are reckoned supplier and importer of Ozone Monitors that are used to monitor ozone concentrations in air and water. 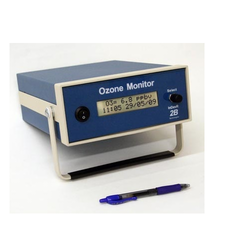 These ozone monitors are available in various ranges. For air monitoring these are available from 0.01 to 0.5 ppm. For monitoring ozone concentration in water range available is 0.05 to 1 ppm. These monitors provide accurate results and are highly efficient in performance. These monitors are manufactured as per the set industrial norms and standards. We also provide customization facility to our valued customers in convenience with their demands and needs. We are reckoned manufacturer, supplier and exporter of Ozone Monitor for Air Water that are used to monitor ozone concentrations in air. These ozone monitors are highly demanded in many industries for various applications. We manufacture these qualitative ozone monitors at very large scale to meet the distinct demands worldwide. These monitors provides accurate results and are highly efficient in performance. These monitors are manufactured as per the set industrial norms and standards. We also provide customization facility to our valued patrons in convenience with their demands and needs. We are a trusted organization engaged in manufacturing, supplying and exporting Ozone Air Monitors. They are an electronic equipment that monitors ozone concentrations in the air. These monitors are highly demanded around the globe for various industries' applications. Backed by technologically advanced infrastructure, we have enabled our selves to provide qualitative gamut of ozone monitors to our valued patrons. Procuring high quality raw material from authentic vendors, Our professional team of experts manufacture these monitors using modern tools and updated technology. These highly reliable, efficient and durable ozone monitors are made available in market at market leading prices. Customization facility can be availed by our valued patrons to get the desired product as per their given specifications.